If you're looking for something with a really traditional feel, this wonderful wicker cradle is a fantastic choice. With a beautiful red polkadot cotton style lining, V as well as a cute blanket and cushion, it's easy for your child to put their doll or teddy to sleep in style. 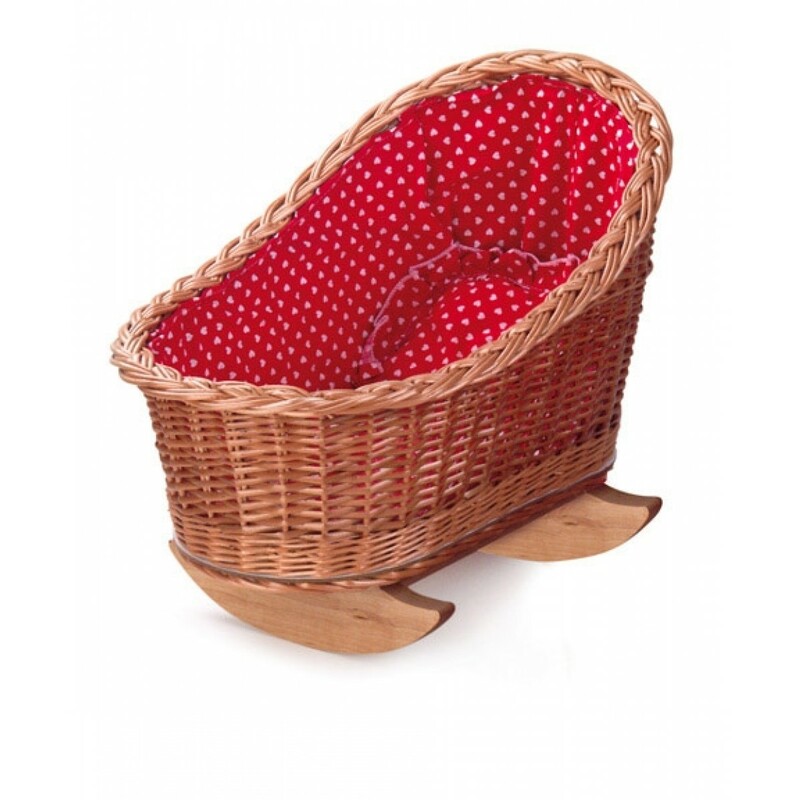 It's a genuinely lovely cradle, designed with quality and style by one of the world's best producers of wooden and wicker toys. There is lots of attention to detail and delightful little touches. A really special toy designed to last a childhood and beyond!